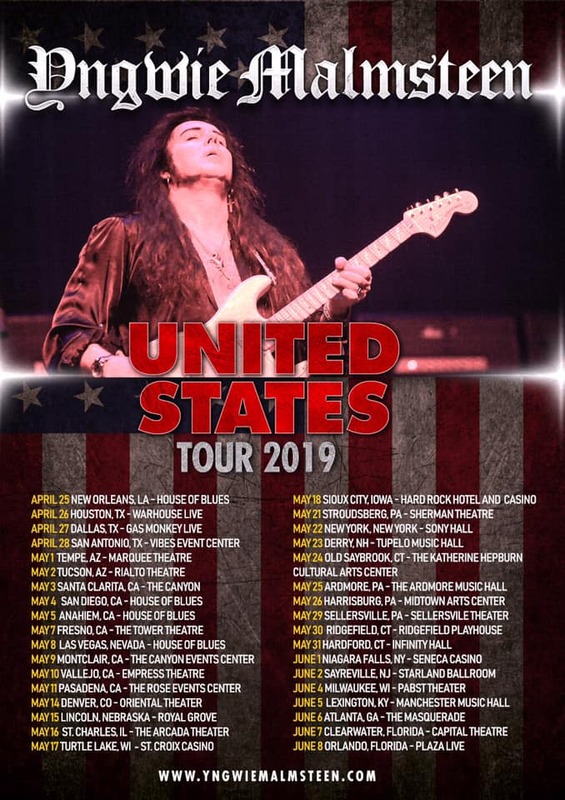 YNGWIE MALMSTEEN – United States Tour 2019 Dates Posted! LATEST Yngwie Malmsteen Tour Dates! AMERICA!!! Are you ready for Yngwie? The latest tour dates have just been announced! Stone says: My favorite Yngwie Malmsteen album is Trilogy, released back in 1986 on Polydor Records. Man, have I ever listened to that album over and over! A beyond memorable album for me. Trilogy inspired me through each major art project I had to create and complete on time, while back in college during the latter 80’s. Good times. Aw, hell, that album still inspires me to this day. The great Mark Boals is the vocalist on Trilogy; along with brothers Jens (keyboards) and Anders Johansson (drums). 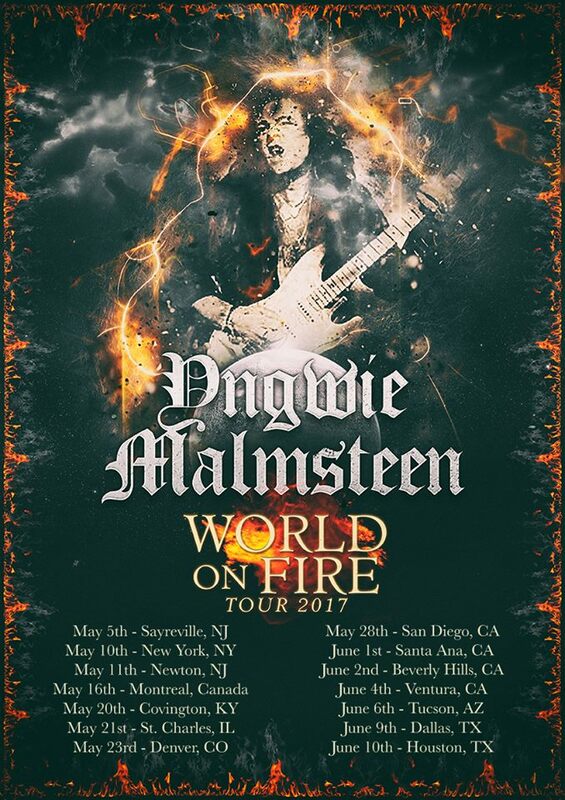 YNGWIE J. MALMSTEEN – “World On Fire” Tour Begins In May! Following the overwhelmingly positive reception to his latest album, WORLD ON FIRE, critically acclaimed guitar virtuoso Yngwie J. Malmsteen is announcing the supporting WORLD ON FIRE Tour! Yngwie and his ensemble of top-tier musicians will perform pieces from the legendary neo-classical stylings of RISING FORCE (1984) as well as songs from the fierce WORLD ON FIRE, and material from everything in between. Yngwie Malmsteen last toured the States in 2016 on the GENERATION AXE tour alongside Steve Vai, Zakk Wylde, Nuno Bettencourt and Tosin Abasi, playing to over 70,000 people over 27 dates. Now, Yngwie Malmsteen is hitting the road once again, and the WORLD ON FIRE Tour promises to be one of his most explosive yet! (06.09.17) Dallas, TX – Gas Monkey Live! Yngwie J. Malmsteen has been blowing minds across the globe with his incredible guitar skills and showmanship for over 35 years and in June 2015, Yngwie and his band will be returning to Australia and New Zealand for the first time in a decade to strike awe into the legions of guitar fans. With the release of the brand new 2CD+DVD album Live In Tampa, the excitement levels are reaching fever pitch. Quite simply, ten years is far too long since Yngwie and band have rocked downunder and anticipation for what are sure to be absolutely stunning shows is building like a feedback loop. The Swedish born, but now US-based, guitar legend is venerated as one of the founders of the art of guitar shredding. His neo-classical style and the sheer speed of his playing made him the most notable musician in the genre, and he has influenced a new era of music and guitarists alike. Yet Yngwie is not known purely for the speed with which his fingers fly up and down the guitar neck. Yes, Malmsteen’s playing is fast, but there’s a crystal clarity to each of his notes that few can imitate. From his ground breaking early work with Steeler and Alcatraz, through his time alongside Joe Satriani and Steve Vai as a member of G3, to his more recent forays leading the Guitar Gods, there are few that can compare to Yngwie J. Malmsteen. Over more than 25 astounding albums, the Grammy nominated Malmsteen has unleashed countless fretboard blistering solos, with both Fender and Marshall honouring him with his own model guitar and amplifier. Don’t miss your chance to see the Master of the Stratocaster live in person and for those extra dedicated fans there are still a handful of VIP tickets available granting access to an exclusive Q&A session and for a few very lucky fans the extremely rare opportunity to meet Yngwie J. Malmsteen in person. 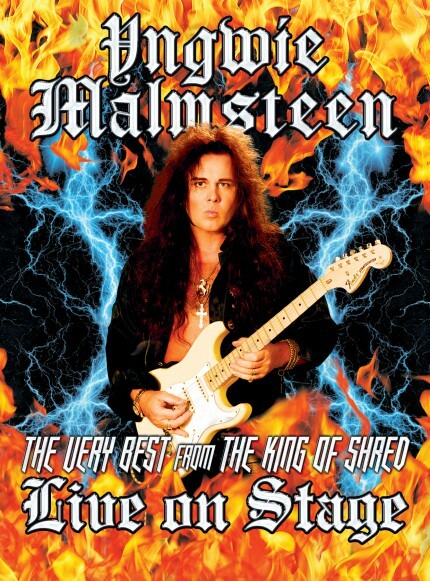 YNGWIE MALMSTEEN “Trial By Fire – Live In Leningrad” – Album Is Stone’s METAL Pick Of The Day! 5 Out Of 5 Metal Fists! Yngwie Malmsteen – Trial By Fire / Live In Leningrad Is Stone’s METAL Pick Of The Day! 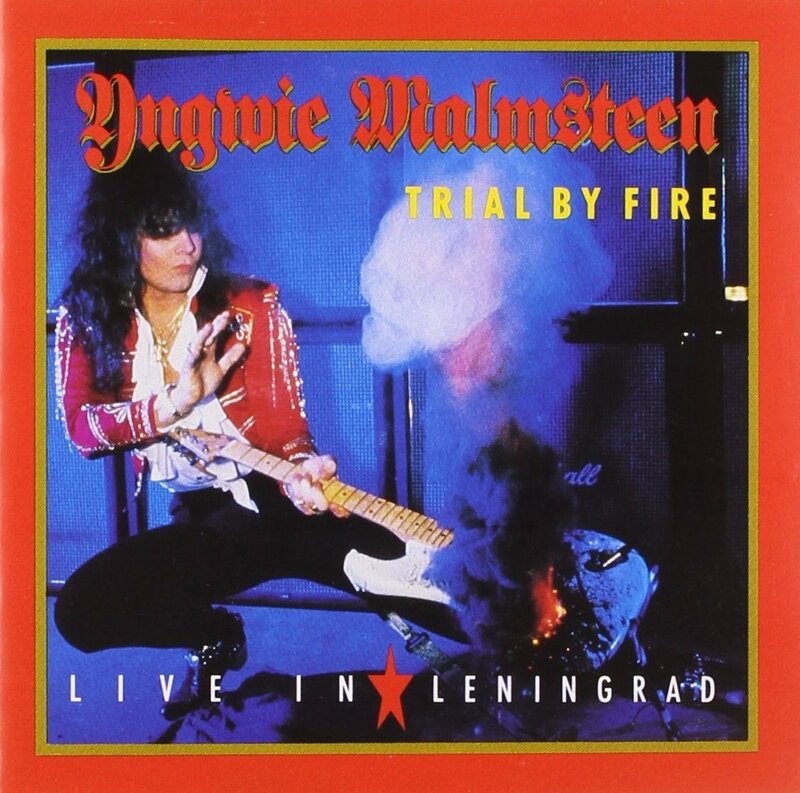 YNGWIE MALMSTEEN – Trial By Fire / Live In Leningrad was the first live album released by this iconic Neoclassical Metal guitarist, back in 1989, via Polydor. The legendary Joe Lynn Turner is the lead vocalist, with Barry Dunaway (bass & vocals), Jens Johansson (keyboards) and Anders Johansson (drums) rounding out this magnificent group. This live album was produced by Yngwie Malmsteen. I once owned this album on vinyl and didn’t upgrade this release to CD until today. Unreal, I know. I found this Yngwie Malmsteen gem at my favorite indie Pop Culture store in Dayton, Ohio: Disc Exchange. 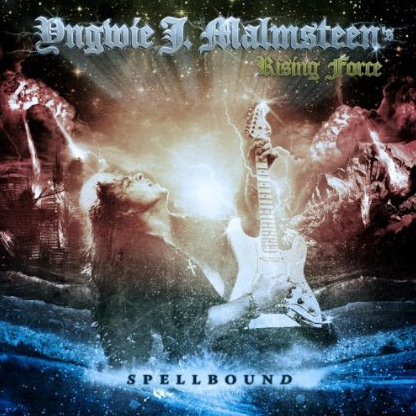 I am thrilled to have this Yngwie Malmsteen release back in my ears and collection, once again! Ignore any lame reviews for this album that you may run into on the internet; such reviews are written by dorks that are easy listening aficionados. 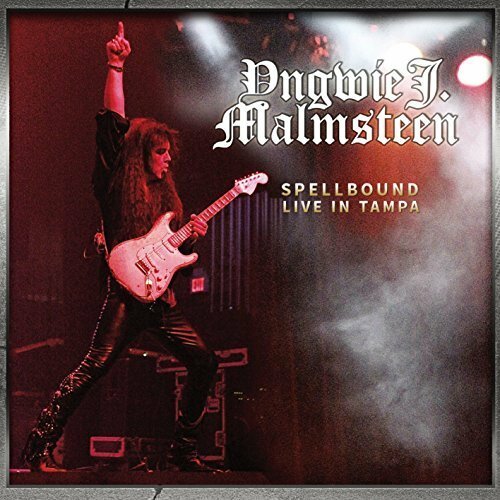 This is as splendid a live album as you’ll hear; Yngwie Malmsteen, Joe Lynn Turner and band put on a fabulous live show! * Trial By Fire / Live In Leningrad was recorded at Leningrad SKK Stadium in Saint Petersburg (Russia), by Tony Platt using the Novosti Press Agency Mobile. Above: Yngwie Malmsteen in 2014, with his Fender Stratocaster. Check out the video trailer for Yngwie Malmsteen’s 2013 Spellbound Tour! Metal be thy name! 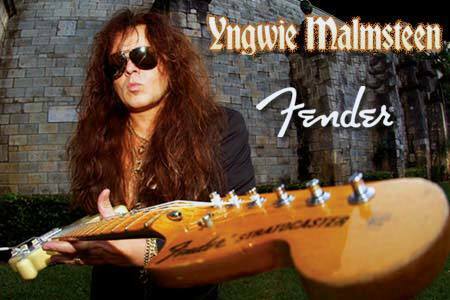 * For more info on YNGWIE MALMSTEEN, click on the links below! Ronnie James Dio and Yngwie Malmsteen: This Iconic Duo’s Cover Song Of “Dream On” Is A True Hidden Gem! Ronnie James Dio & Yngwie Malmsteen – On May 16th, 2010, the ultra-legendary Ronnie James Dio passed away after a valiant battle with cancer. 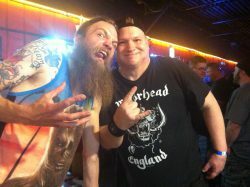 This was a day when Metal cried. Hard Rock cried. Rock and Roll cried. I cried. I’ve always lived by a wonderful thought: “Time heals all wounds”. Each time I listen to any DIO, Rainbow, Elf, Black Sabbath and Heaven & Hell song and/or album now, I realize that Ronnie James Dio’s legacy will forever live on. On the anniversary of Ronnie James Dio passing away, I decided to listen to some of his work that I haven’t pulled out in quite awhile. 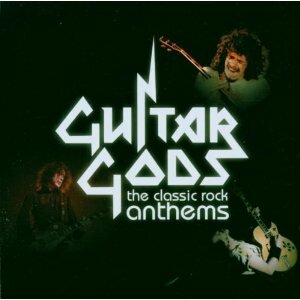 I remembered having a CD titled: Guitar Gods – The Classic Rock Anthems. On this fantastic CD is a cover song of Aerosmith’s Dream On. Ronnie James Dio sings and Yngwie Malmsteen plays his amazing guitar on this cover song of Dream On. Two legends covering an iconic Rock song, written and recorded by fellow legends. Simply put… the original version and cover version of Dream On are both everlasting. I can’t even adequately put into words, just how sensational, how riveting this cover song of Dream On is to my senses. Ronnie James Dio sings the lyrics of Dream On in such a remarkable way… it’s Ronnie James Dio. With Yngwie Malmsteen stamping his signature tone to this song, it’s hands down the single greatest cover song I have ever heard of Dream On… Metal case closed. To admit I receive countless ostrich bumps up and down my entire body whenever I listen to this cover of Dream On is real and not fantasy. This entire CD is a MUST buy for any fan of Rock, Classic Rock, Hard Rock and/or Metal. If there ever was that hidden gem of a Ronnie James Dio song, then this cover of Dream On is it. If there ever was that hidden gem of a Hard Rock/Heavy Metal compilation CD, then Guitar Gods – The Classic Rock Anthems is it. Wanna know something? I found this CD at Kmart about two years ago. Kmart. Metal be thy name and kiss the F’n sky. That is no lie. Legends are galore on this CD, with Ted Nugent giving his spin on another Aerosmith classic: Rag Doll. The Motor City Madman sings and plays his patented guitar licks on Rag Doll and it’s a hell raiser. Just look at the track listing with the respective artists below, it’s ’nuff said and ring the Metal bell for glory! This CD is so electrified with guitar legends and vocalists that it’s Metal mind boggling. I’ll say this much: Slash and Roger Daltrey cover Alice Cooper’s Rock classic No More Mr. Nice Guy with Hard Rockin’ brilliance. Whoa, the legenday duo of Slash and Roger Daltrey make an infinite impression on my Metal soul. Steve Lukather covers Pink Floyd’s Shine On You Crazy Diamond… it’s jaw dropping. I truly don’t know what else to say about that. An unreal CD that I have revisited and won’t be putting away again for a very, very, long time. * Guitar Gods – The Classic Rock Anthems was released back in 2006, via Fantastic Price Records. * Guitar Gods – The Classic Rock Anthems was mastered by Anthony Focx at Foxhole Underground Studio, Los Angeles. * I’ve seen this CD for sale at Amazon.com for just under $10 (U.S. funds). * For some odd reason, I can’t play this CD in my car’s CD player. Every time I slide this CD into the car’s player, it gets sent back out! WTF? However, this CD plays just fine on my home stereo system. LONG LIVE EVERY ROCKIN’ CAT ON THIS CD. REST IN PEACE, RONNIE JAMES DIO. YNGWIE MALMSTEEN – Back in November of 1991, The Yngwie Malmsteen Collection was released on Polydor Records. 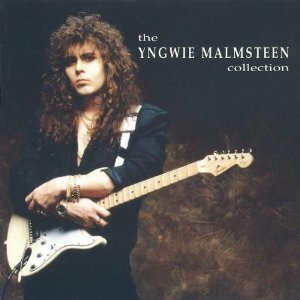 This Yngwie Malmsteen compilation spans the first six albums of his career, from 1984 to 1990. These albums are: Rising Force (1984), Marching Out (1985), Trilogy (1986), Odyssey (1988), Trial By Fire: Live In Leningrad (1989) and Eclipse (1990). Of these first six Yngwie Malmsteen albums, the only one I have on CD is Odyssey. Eclipse I have on cassette and the other four I have on vinyl. Sounds crazy, huh? The $ factor comes into play, whenever the desire to upgrade my entire collection of music to CD crosses my Metal mind. Regardless, I have these Yngwie albums on old school formats and I’m content. About seven years ago, on a lazy Saturday, I took a leisurely stroll into Strawberries Records & Tapes, back in my hometown up in very expensive Connecticut. That day I zeroed in on The Yngwie Malmsteen Collection… it was calling my name. At this time of my life, seven years ago, my wife and I were really cutting corners and trying to make ends meet… and the ends were not interested in meeting either. Purchasing one CD would send me into guilt city. I took the Metal plunge, held my breath and Metal be thy name I purchased this Yngwie Malmsteen bonanza of songs. It has served me right ever since. 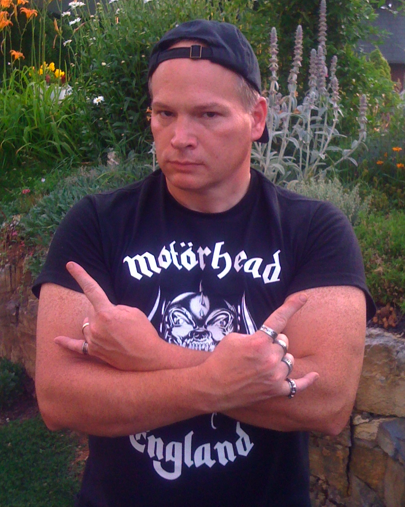 Yes, by now you might have guessed I am giddy about listening to Yngwie Malmsteen over the years. I really enjoy listening to his guitar playing, his Neoclassical style is pioneering and legendary, in my Metal opinion. I’ve always enjoyed listening to every vocalist that Yngwie Malmsteen has recruited for his albums as well. I’m not trying to sound like Mr. Sunshine wants everyone happy when I state this. No, I will readily admit that Mark Boals and Joe Lynn Turner are my favorite vocalists from the entire Yngwie Malmsteen catalog, which includes his most recent release of 2010’s Relentless, which boasts Tim “Ripper” Owens on vocals, (with Yngwie singing Look At You Now). If someone out there asks: hey Stone, c’mon, pick one or the other, Mark Boals or Joe Lynn Turner!? My Metal answer is easy: it’s a tie… Metal be thy name, a tie. I recommend anyone who is just getting interested in Yngwie Malmsteen to get ahold of this CD. These fourteen songs are a magnificent representation of Yngwie’s first six albums. From the live cover of the Jimi Hendrix classic – Spanish Castle Magic, to Queen In Love, this compilation shows not a flaw, in my Metal opinion once again. Veteran fans of Yngwie who don’t own his first six albums on CD entirely, may want to grab this collection for the same reason I did. * Yngwie Malmsteen taught himself how to play guitar. * The late and legendary Jimi Hendrix inspired Yngwie to play guitar, only it was the image of Jimi Hendrix more so than his music that influenced Yngwie. * At the age of 15, Yngwie quit school and landed a job at a music shop in Stockholm, Sweden, repairing guitars. * The debut 1984 album Yngwie J. Malmsteen’s Rising Force was nominated for a Grammy Award. * I’ve listed below, next to each song in the track listing, the album of origin along with the respective vocalist. Instrumentals are noted. The word “giddy” was used in paragraph 3.